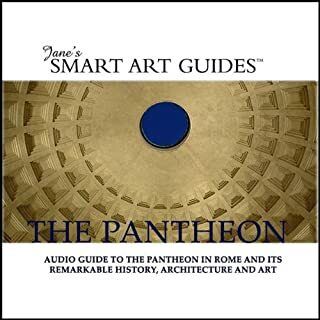 With Jane guiding you through the Pantheon, you will be immersed in the mystery, meaning and the eternal principles of this ancient monument, appreciating the architecture and the art in the context of history. You will come away with a deep and lasting understanding of the essence of this remarkable place. 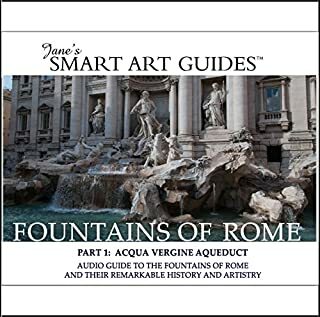 Jane's Smart Art Guide to the Fountains of Rome concentrates primarily on the Renaissance and Baroque fountains that refresh the historic heart of the city. Jane, the narrator, will lead you through the extraordinary history of Rome's water supply and the delightful fountains - large and small, plain and fancy - that grace the city. You'll hear about who were the great fountain designers, what constraints they had to deal with, and how they learned to make water behave in different ways. 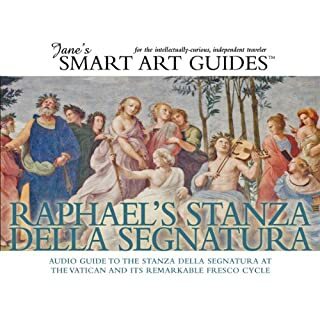 Raphael's ground-breaking frescoes in the Stanza della Segnatura at the Vatican are among the greatest achievements in the history of art. Now art-lovers and history-buffs can visit this jewel of a room in the Vatican Palace and appreciate these magnificent paintings, guided by the scholarship of a well-known art historian. 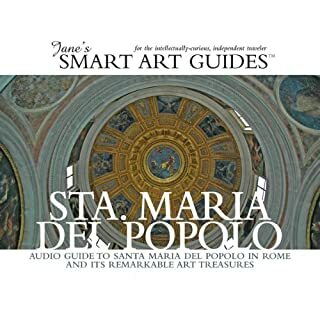 This Jane's Smart Art Audio Guide is in-depth and indispensable for art-lovers and history-buffs who want to hear about more than just the highlights! Behind the unassuming façade of this early Renaissance church is an extraordinary trove of celebrated art and unique architectural features. The church has played a central role in Rome's history by virtue of its location just inside the principle north gate. Fra Angelico's magnificent 15th Century frescoes at San Marco monastery in Florence are among the greatest achievements in the history of art. Now you can tour this widely-loved site guided by the scholarship of a highly-regarded art historian. 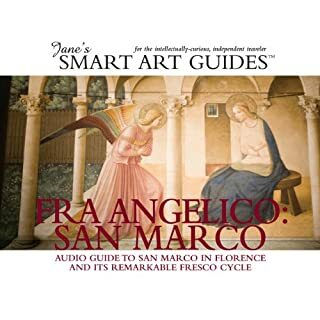 This Jane's Smart Art Audio Guide is the exclusive audio adaptation of a popular book in The Great Fresco Cycles of the Renaissance series, written by William Hood, Professor of Art History at Oberlin College and a renowned Fra Angelico scholar. An extraordinary chronicle of Venice, its people, and its grandeur Thomas Madden’s majestic, sprawling history of Venice is the first full portrait of the city in English in almost thirty years. Using long-buried archival material and a wealth of newly translated documents, Madden weaves a spellbinding story of a place and its people, tracing an arc from the city’s humble origins as a lagoon refuge to its apex as a vast maritime empire and Renaissance epicenter to its rebirth as a modern tourist hub. As you walk down the Spanish Steps we'll explain why the Pope at the time they were built was so unenthusiastic about them and also why the fountain at the bottom looks like it's sinking. We'll point out the Keats-Shelley Museum and talk about the Romantic poet's tragic life and then explain what Roman firemen do to the Colonna dell'Immacolata every year. The Louvre. The very name conjures up scenes of art and elegance, and of long halls filled with beauty and people strolling through them whispering quietly among themselves about the glories they are witnessing. Even those who have never been to the Louvre know some of its most prized possessions, from ancient statues to Leonardo Da Vinci's Mona Lisa. As the world's largest museum, the Louvre is the cultural highpoint of Paris, a city that has long been considered the cultural center of Europe. Each lesson of Italian Level 1 Lessons 1-5provides 30 minutes of spoken language practice, with an introductory conversation and new vocabulary and structures. Detailed instructions enable you to understand and participate in the conversation. Your tour starts in Peter's Square where we explain why this great church was built here, what you can see as you look at it and why the Popes over the ages have had a difficult relationship with Rome. We'll also give you the name of the only English Pope - so far! After the crowds and noise of St Peters, walk with us down the calm, pretty Via Giulia and learn how it came to be built against the odds. 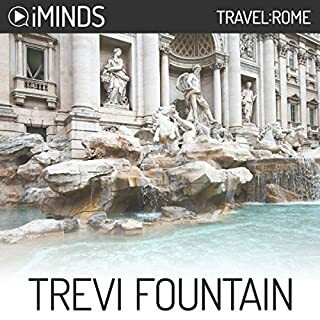 This audio guide to Rome is made for independent travelers with an interest in the stories behind famous places in the Eternal City. It is also available as a bilingual English/Italian version. 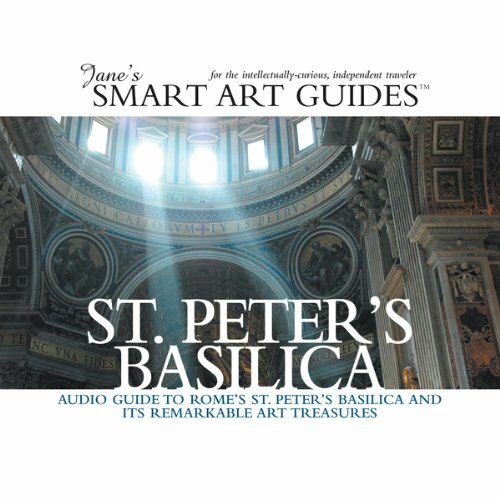 This Jane's Smart Art Audio Guide is in-depth and indispensable. For art-lovers and history-buffs, it's the smart way to visit St. Peter's Basilica! Huge in both scale and history, St. Peter's can be overwhelming. But with Jane's engaging narration guiding you through this magnificent building, appreciating the art and architecture, step-by-step, in the context of history, you will experience a deep and lasting appreciation of the essence of this remarkable place. Under construction for more than 150 years, St. Peter's has been witness to physical and spiritual neglect, the devastating Sack of Rome, and the Reformation and Counter-Reformation. It's seen papal corruption and self-interest, as well as exemplary spiritual humility. It has heard the prayers of millions of pilgrims from all over the world. The 50-minute "Slice of History" background context segment is meant for advance listening. It will fill in gaps in your knowledge to enhance your appreciation of what you'll see on site. Listen to it before leaving home, on the plane, or with a glass of wine the night before your visit. You might take the 20-minute tour of the Piazza beforehand, too. In the evening, the exterior of St. Peter's is brightly illuminated. A printable eight-panel PDF file includes a floor plan keyed to the audio track list, to keep you from getting lost, and a glossary to clarify unfamiliar terms.